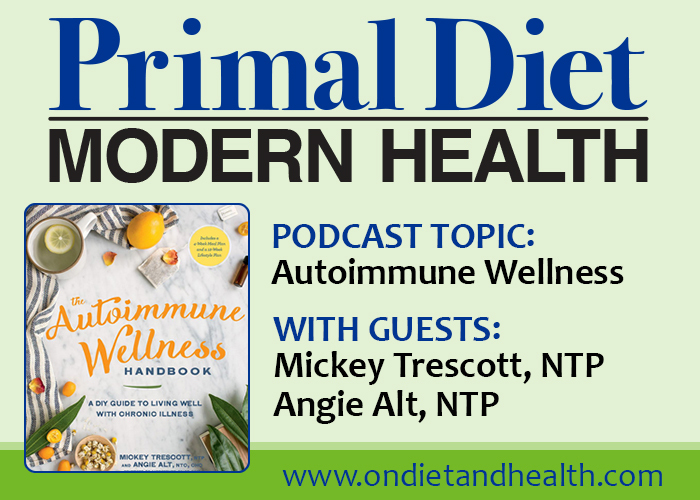 Here’s “The Autoimmune Wellness Handbook” book review and my Primal Diet – Modern Health podcast with authors Mickey Trescott and Angie Alt. 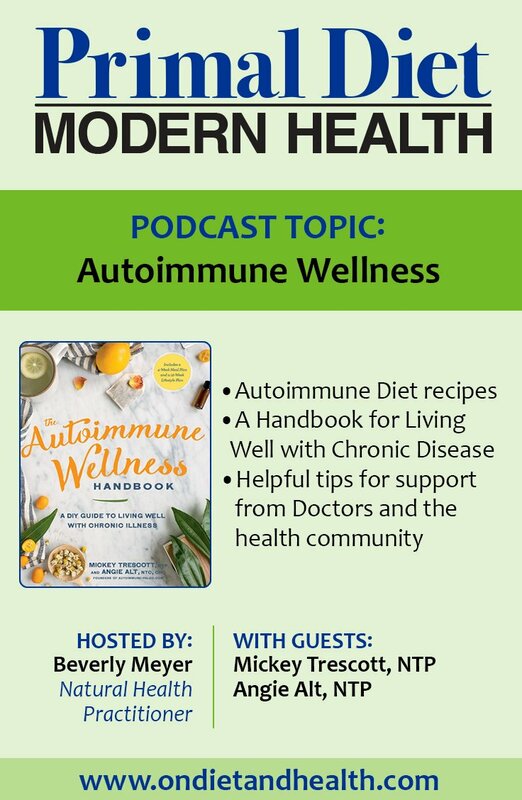 With 5 auto-immune disorders between them, Mickey and Angie share their successes and lifestyle tips for living well with chronic illness. Autoimmune disorders can be hard to diagnose and medical solutions are limited. For Mickey, Angie, myself and many others in the “real food” community, going grain-free with a nutrient dense diet is a great starting place. But there’s more you can do! Mickey and Angie share additional ways to nourish your immune system and heal your life. 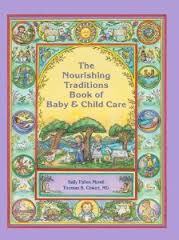 Enjoy our chat and enjoy the book! Why the surge in Autoimmune Disorders? How do food intolerances contribute to autoimmunity? How Vitamin D can help manage genetic triggers for A.I. 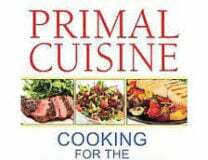 The autoimmune version of the Paleo Diet is highly anti-inflammatory and a sustainable way of eating without foods that trigger the immune system. 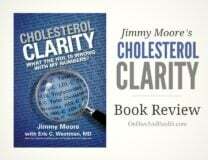 I discovered what foods to include and what foods to eliminate from my own diet many years ago. It’s been rewarding to see this diet become so popular. It can help anyone – even if you’ve never been diagnosed with an AI disorder.